Perfect for temporary mounting, with two very strong velcro straps for attachment to rails, backpacks, belts etc. Perfect for temporary mounting, with two very strong velcro straps for attachment to rails, backpacks, belts etc. 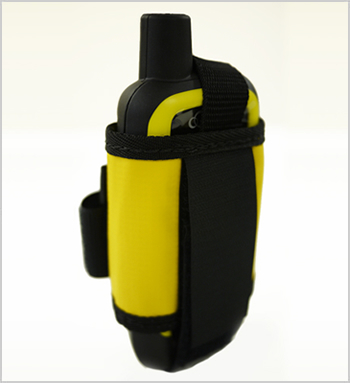 The pouch also has a number of cable tie points for more difficult attachments.